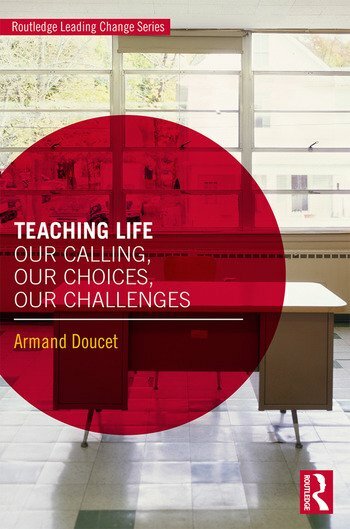 In this engaging book, Armand Doucet, a globally respected and recognized teacher, provides a clear roadmap for championing classroom-focused change in a technology-advanced society. Teaching Life brings the voices of teachers into the global conversation about educational reform to offer a how-to for implementing into classrooms design thinking, technology integration and a holistic education based on competencies, social-emotional learning and the literacies. With the innovative ideas in this book, educators can create a foundation for sustainable, honest, transparent leadership and work toward building a true community of local and global learning. Armand Doucet is one of the world’s foremost pracademics and teachers in education. He is a sought-after leader, inspirational speaker, coach, columnist and co-author of the best-selling book Teaching in the Fourth Industrial Revolution: Standing at the Precipice (Routledge 2018). Armand currently teaches Modern History and World Issues in French Immersion at Riverview High School in the Anglophone East School District in New Brunswick, Canada. He has received the Governor General Award for Teaching Excellence in History (2017), Canadian Prime Minister’s Award for Teaching Excellence (2015), is a Meritorious Service Medal Recipient Governor General of Canada, is an Apple Distinguished Educator, Teach SDGs Ambassador and has recently been nominated in the Top 50 for the Global Teacher Prize.